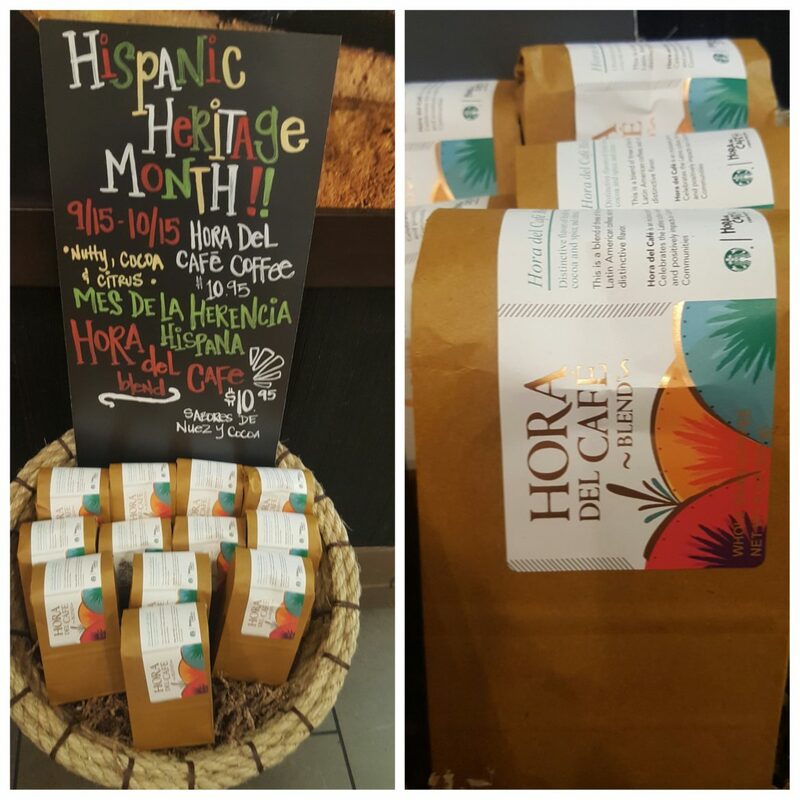 Did you know that there is a Starbucks coffee designed to honor the Latino partner experience at Starbucks? (Starbucks calls their employees, ‘partners’). It is the Hora Del Café Blend. More than nine years ago, Hora Del Cafe started with a group of partners who have Hispanic heritage meeting in the afternoons for coffee and speaking Spanish. It became the hour of coffee, or Hora Del Café. An actual partner network formed in 2007. Within Starbucks, there are partner networks: these are organized groups where partners with common experiences or goals come together. Hora Del Cafe is an exclusive network that celebrates Latino culture. It does things like develop opportunities for their members to have public speaking events, or work on skill seminars, and it partners with the local Seattle non profit El Centro del Raza. You may have heard of other Starbucks partner networks, such as the Armed Forces Partner Network or the Starbucks Access Alliance Network. 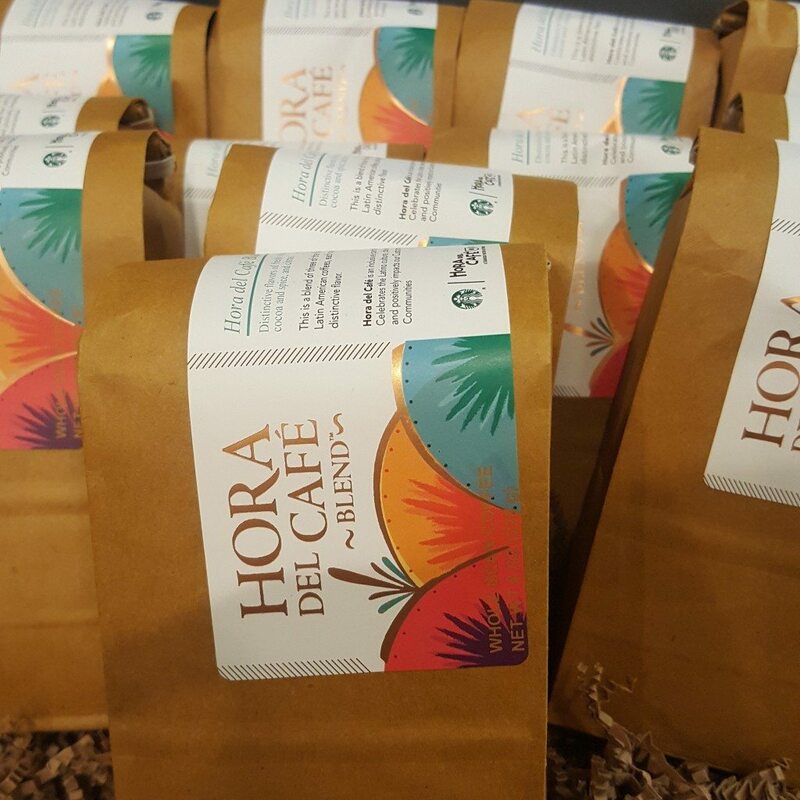 About five years ago, the partners in the Seattle Hora Del Cafe network chapter teamed up with the Seattle coffee team to create a blend to honor their network. It’s Hora Del Café Blend. For the first time ever, this coffee is available in select Starbucks locations in Seattle and the Portland area. About 85 stores will carry this coffee, beginning September 23, 2016. It’s part of honoring Hispanic Heritage Month. Hora Del Café Blend is a three country blend with coffee beans sourced from Costa Rica, Guatemala, and Columbia, It’s considered a medium roast coffee with a flavor profile of nutty, cocoa and citrus. Enjoy this special blend with flavors of nuts, brown sugar, cinnamon and chocolate. I have had the chance to try this coffee in the past and loved it. While it is said to be in the medium roast spectrum, my own thoughts were that it was a bolder coffee, a little on the richer side of the medium roast spectrum. I hope you pick up a bag and try it at home! The Starbucks Cup Fund and the Store that Supports It. The Starbucks Experience: Challenges for customers and partners. Any idea where this coffee is offered, Melody? Sounds like my kind of cup. Costco can outbid Starbucks for coffee? Unbelievable.